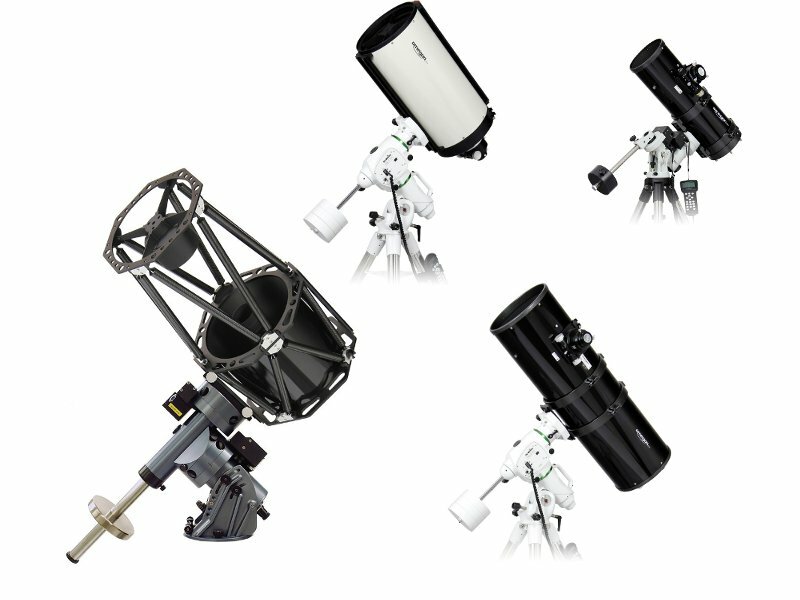 New astrographs and RC optics come as complete telescopes with mounts by Skywatcher and iOptron. Both manufacturers are known for their sturdy mounts that are loved by astrophotographers. Important principle: Having the right equipment is essential for quickly becoming successful in astrophotography. With these telescopes, you’ll be able to achieve that. You, of course, also need practice: But with this equipment, your frustration will turn to a passion for the stars. Discover the new combinations with which you’ll shine at the next telescope meeting. 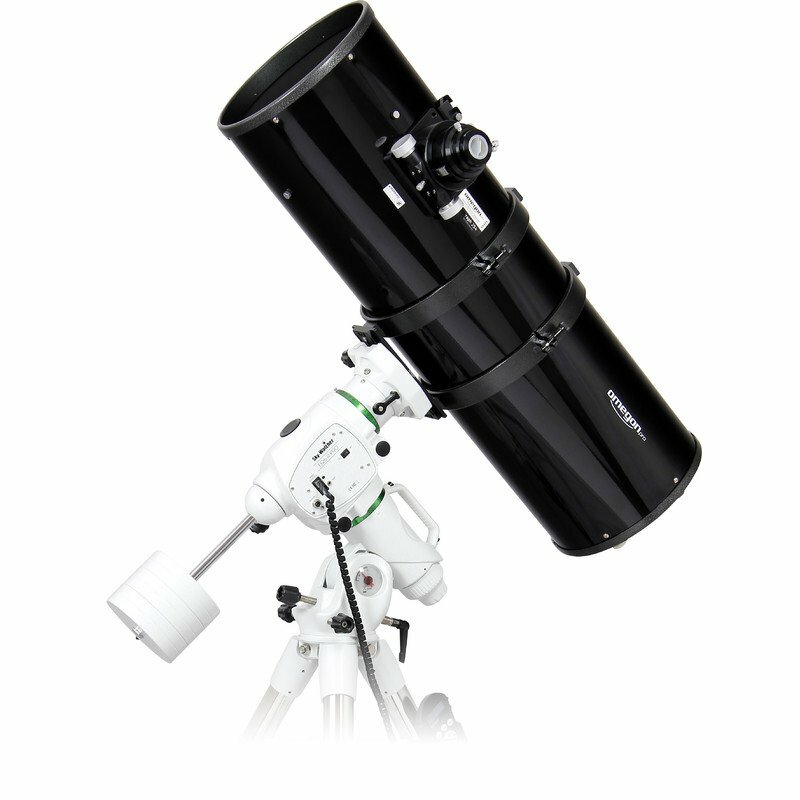 Our experienced astronomy experts have put together a telescope collection and combined both tube types with appropriate mounts. The benefit: Now, you can simply select your telescope in the shop without having to worry about getting the right mount. There is a wide selection available: They range from small, transportable optics to large observatory telescopes. And you have everything together: They are so sturdy that they make astrophotography simply fun. In the “Pro Astrograph” category, you can choose from four different astrographs with a diameter of 154 mm, 203 mm, 254 mm or 304mm. All optics have a super-fast f/4 aperture. This means: These Newton telescopes are fast. Short exposure times and large fields of view at reasonable prices are the main strengths of these optics. There are eight different full telescopes to choose from, which means two different mounts per tube size. Among the Omegon RC optics you can choose from six different tubes: three full tubes measuring 154 mm to 254 mm, and three-truss, wire-mesh tubes measuring 304 mm, 355 mm and 406 mm. This means we have the right telescope size for all astrographs. You can, for example, use the smallest RC telescope with an EQ-6R Pro mount by Skywatcher. An ultra-sturdy combination that can also take other accessories. 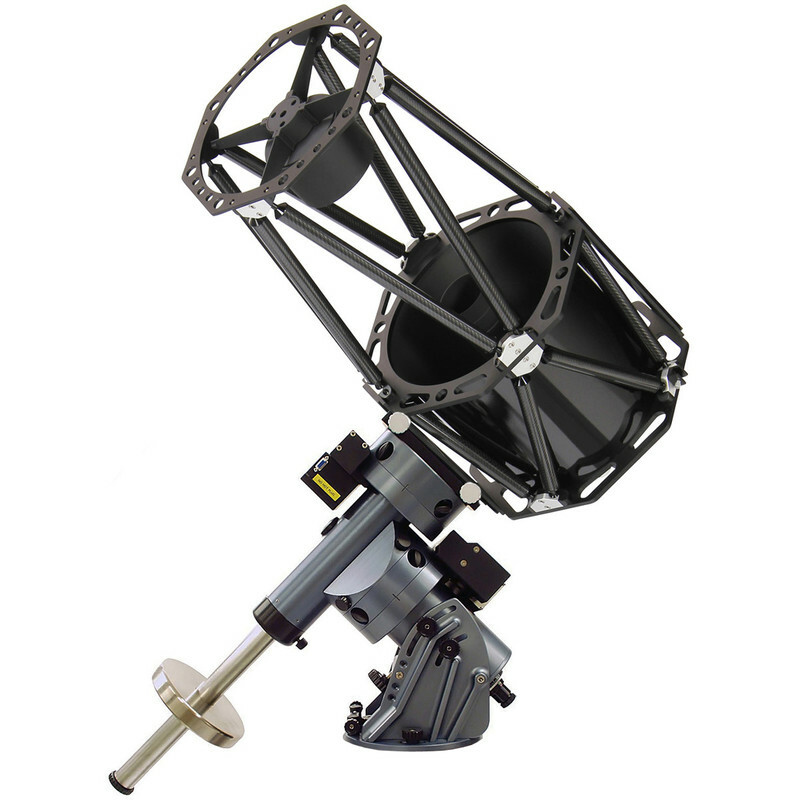 Or treat yourself finally to your dream observatory with a 16” truss RC on a 10-micron mount. By the way: We would also be glad to plan your entire observatory. These telescopes look great, but are also a dream for all astrophotographers. For it’s possible to take better astrophotos with these “photo instruments”. Finally, it is no wonder that almost all professional observatories use RC telescopes. Why not set up an astrophotography master in your own garden? Order now, or if you have any further questions: simply give us a call. This entry was posted by Marcus Schenk on Friday, 26. January 2018 at 16:08 and is filed under New Products .